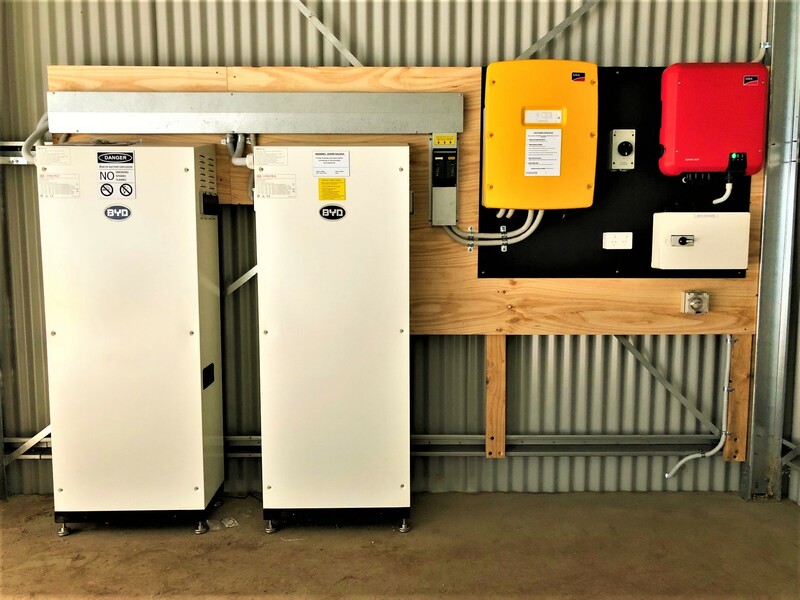 Australia’s burgeoning battery storage market is currently dominated by lithium ion technologies – Lithium Ion, Lithium Iron, Lithium NMC, Lithium Polymer. Spelling and flash branding aside, what’s the difference? We’ve put together a summary to clarify the distinctives behind the marketing. An electrode is an electrical conductor, a piece of conductive material through which electric current can flow; it is used to make contact with the non-metallic part of the battery circuit (containing the electrolyte). The electrolyte is a chemical medium that promotes the movement of charged molecules (ions) from the positive to negative electrode (charging), or the negative to positive electrode (discharging). It may be a soluble salt, acid, or other base in liquid, gel (micro-porous), or even dry form. When a battery is charging/discharging, the ions in the electrolyte are attracted to one electrode, while repelled by the other. This movement of ions creates an electrical current. A lithium battery is a non-rechargeable battery that uses pure metallic lithium as the anode. In contrast, a lithium-ion battery is a rechargeable battery that uses a lithium compound (a mixture of lithium + one or more other material) as the cathode. 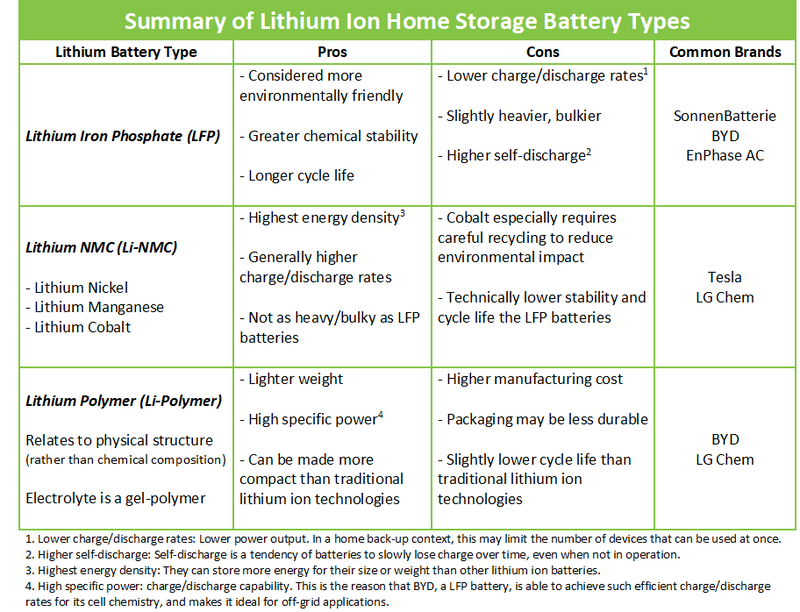 The term ‘Lithium Ion’ includes all the various rechargeable lithium-compound batteries that have been developed, including lithium iron-phosphate (LFP), lithium nickel-manganese-cobalt (NMC), lithium polymer, and others. Also known as a ‘LFP’ or lithium ferro-phosphate batteries, these batteries use only one main lithium compound, lithium iron phosphate. Examples of this type of lithium battery include sonnenBatterie, BYD, and Enphase AC batteries. This form of lithium battery uses a mixture of different lithium compounds, rather than a single lithium compound. NMC stands for Nickel-Manganese-Cobalt, the three primary lithium compounds used in this style of battery. Well-known examples of this variation include Tesla and LG Chem. Lithium NMC is considered one of the most functional lithium-ion battery designs. The combination of the individual lithium-ion compounds work together to provide high capacity and power output, while still providing practicable stability and shelf-life. Cobalt provides high energy density; manganese provides greater stability & safety; and nickel provides high specific energy (capacity) and greater cycle life. Lithium polymer is not considered a unique battery chemistry. The designation generally relates to the physical (rather than chemical) structure of the battery, where a gel-polymer micro-porous electrolyte replaces a traditional porous separator soaked with electrolyte. 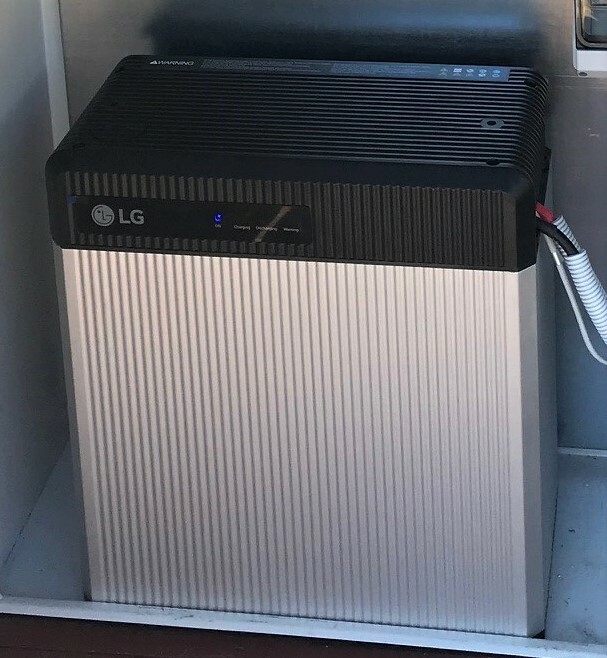 Examples of this home battery storage type include both BYD (chemical composition of Lithium Iron Phosphate) and LG Chem (Lithium NMC). 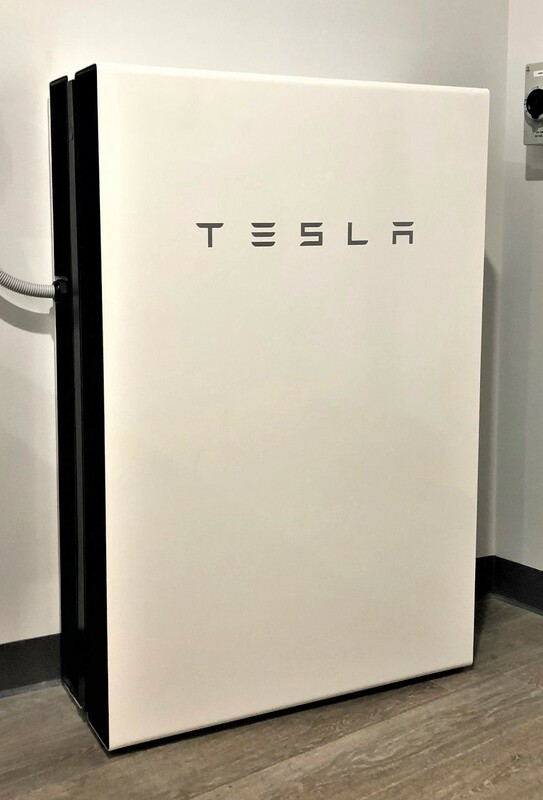 Due to either cost of manufacture, or stability/performance parameters, none of these technologies are generally available as grid-connected home storage batteries in Australia at this time.